the snowboarding in this region is lots of fun all winter long. Some ski trails here are real killers; but you were born an adrenaline addict, not a whole lot to do about that. 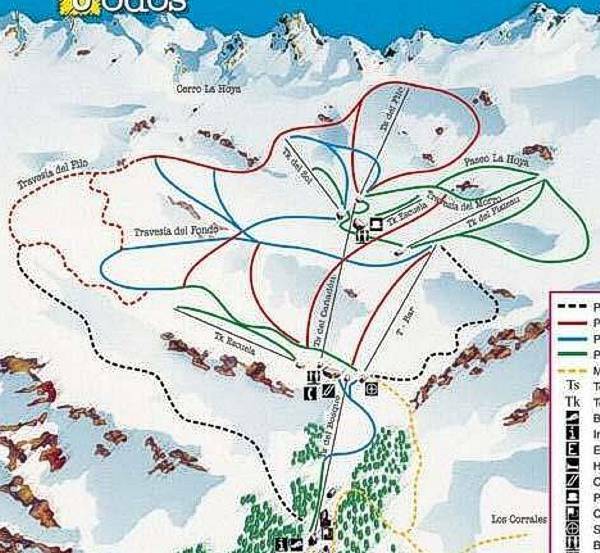 The ski trail map of La Hoya on this page unsurprisingly says a thousand words.